My aunt in Simi Valley and my other aunt who lived in Palmdale at the time (2002 – 2004) both told me when I visited them that I gasped for air in my sleep and that I snored REALLY loud. I never took the snoring issue seriously because I’ve always snored loud, at least that’s what people always tell me. I remember when I was 19 and lived with my sister and her husband in Tujunga and I fell asleep on the floor while watching TV and my snoring actually woke me up lol. When we lived in the little house next door in 2004, I would wake up in the middle of the night gasping for air. Not like a little gasp and being able to breathe like normal, I mean I was choking and I could not get any air at all. It was frightening, to put it mildly. Just imagine not being able to breathe for several minutes and feeling like you’re going to die soon. What happened was, when I was sleeping, my airway would close, causing me to not be able to breathe. Try as I might, I could not get any air. I would even vomit during this. Vomit was able to leave my mouth, but then my airway would close up again. Eventually the airway would open and I could breathe, and then I would have really bad acid reflux. My doctor gave me a inhaler, and that would help until I could get a sleep study referral, which took a long time to get. I was diagnosed with sleep apnea in 2005. They told me at the sleep study that I would stop breathing for 25 seconds, then breathe for 35 seconds (or maybe it was the other way around) and this went on every minute. I don’t recall if they told me that I gasped for air or not during the sleep study, but I’m sure I did. Thankfully I didn’t vomit lol. I received my BiPap machine in September 2005 and I used it faithfully every night until 2013 when I lost 70lbs. I was told that if I lost enough weight, I wouldn’t have sleep apnea anymore, and for the last 18 months I didn’t. The last week I’ve had to start using my machine again because I would wake up in the middle of the night with really bad acid reflux, which is always an indication that I need to use my BiPap machine. One of the concerns I have is that if I don’t use my machine, I could die of a heart attack or stroke in my sleep. My mother was overweight and she died of a heart attack in her sleep. I don’t know if she had sleep apnea, but I do remember that she snored really loud, so I am only assuming that she did, and that was how she died. I was told that sleep apnea is genetic, and that the reason I got it was because a family member had it. My aunt in Palmdale moved to Texas and was also diagnosed with sleep apnea. She and my mother have the same father, but different mothers, so perhaps this was bestowed upon us by my grandfather, who also gave me the gift of male pattern baldness lol. I’m not complaining, I wouldn’t have it any other way, and every time I look at it in the mirror, I see him and it makes me smile because I loved him. So I called Monitor Medical today and told them that I was using my machine again, and they made a note in my chart. 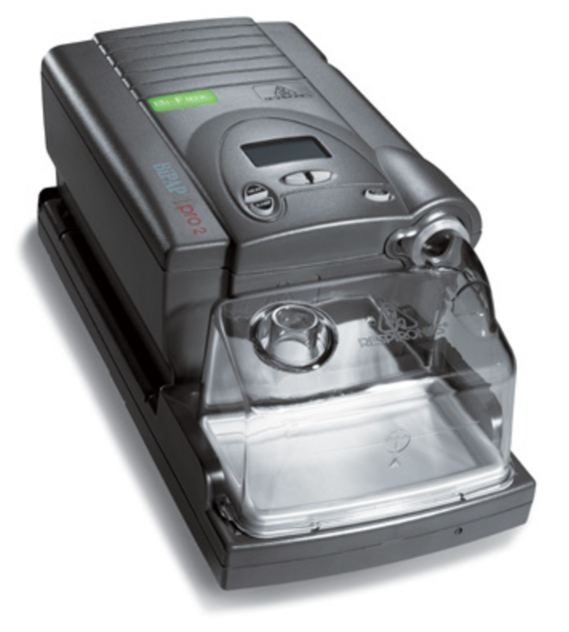 I would really hate to leave this world and leave my partner because I was dumb enough to stop using my BiPap machine. It’s very irresponsible of me! I hate that I have to use it, but it keeps me alive. I would love to go back to losing weight, but it will happen if it is meant to be. In the meantime, I was continue to use my machine until I don’t have to use it again, but honestly, this is probably going to be with me until the day I die. If you or someone you know has really bad snoring issues and they might gasp for air, tell them to get to their doctor for a referral for a sleep study. Sleep apnea is a matter of life and death, so when you see someone snoring, don’t laugh at them or ignore the problem, tell them to get to a doctor stat! You will thank me later. Oh and by the way, the machine at the top, that is a stock photo, but it is the machine that I have. And in case you are wondering about CPAP vs BIPAP, the CPAP uses one pressure and the BiPAP uses two. These two pressures are called inhalation pressure (IPAP) and the exhalation pressure (EPAP). Everyone I have spoken to who has sleep apnea uses a CPAP and they tell me they’ve never even heard of BiPap before. So now you know.